Would you allow a paramedic to perform surgery on you? Would you let a first year law student defend you in court? The reason I ask is because we see so many botched jobs by so-called mechanics who think they understand Volkswagen and Audi vehicles. These cars are unique and require specialized knowledge and tools to properly service. If you want to get the most out of your Volkswagen or Audi, then don’t let a mechanic learn about these unique cars by working on yours. At German Car Depot we have been exclusively offering service and repair of VW & Audi automobiles and SUV’s for over 25 years – over 325 vehicles pass through our shop each month, it is rare when we see a problem we haven’t seen before. At German Car Depot we are your dealer alternative! 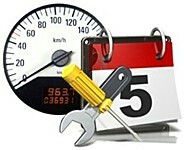 One of the best ways to keep your VW or Audi car running forever is tomaintenance have your scheduled maintenance performed on time. This includes not only the major services such as 40k mile service, 60k mile service or 80k mile service but also the oil and filter changes in between. When the Check Engine light comes on, usually it means a sensorcheck engine light has found a problem in one or more of the systems monitored by the vehicles computer, it may not be immediately harmful to your car but it should be checked by a qualified technician at your first opportunity. A good idea would be to bring your car to German Car Depot and have us scan the computers fault codes to diagnose the problem. You could also call us and after several questions we can get a good idea of whether or not your Check Engine light is urgent. When a Red warning light comes on, it means a serious condition exist. It could be your engine is overheating or has lost its oil pressure, either of these problems will create a very expensive repair if you continue to drive. Your vehicle should be turned off immediately or as soon as it is safe to do so and a tow truck should be called to bring your car in for repair. Check your oil level every month. 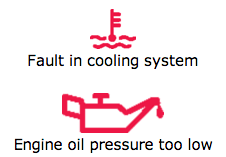 It is common for some engines to consume or leak oil. If it is necessary to add oil between changes, be sure to use only 100% synthetic oil with a rating of VW 502.00 or 505.01. Gasoline engines require 5-40 oil and the Diesel TDI requires 5-30. Check your coolant level and condition every month and replace it every 2 years. When it is time to change your coolant, use only the phosphate-free pink VW & Audi brand coolant antifreeze. Check all cooling system hoses at every oil change. If they feel overly soft or have visible damage, replace them. If your coolant level is low never add the green or orange coolant, if you are in a pinch, just use plain water. Bleed brakes every 2 years. Use only Dot 4 or Super Dot 4 fluid. It should look clear or translucent light green. When brake fluid is low, your brakes are most likely worn. As the pads wear, the brake caliber pistons move out and the fluid level goes down. Use fuel injector cleaner every two months. A quality brand like Lucas Fuel Treatment or one containing Techron is usually best. Have your throttle body serviced / cleaned every 2 years or 40,000 miles. Check CV boots for dryness and cracks every few months (or at every oil change) and replace them as soon as they do crack. By not replacing damaged CV boots, your CV joints will lose their lubrication and wear out quickly. Check tire pressure once a month or if one of the tires looks to be lower than the others. You can buy a tire pressure gauge at any auto parts store and the tire pressure specifications can be found in your owners manual and on the tire sidewall. In an effort to save fuel and increase tire tread life, it is usually a good idea to run the highest recommended pressure in your tires. Replace a belt whenever it starts to develop cracks or at about 40,000 miles. Belt replacement is inexpensive but if you wait until the belt breaks, other very expensive damage could occur. Use only OEM replacement parts, stay away from the low quality “automotive chain store” parts. Run your AC at least once a month for a couple of minutes (even during the winter) to lubricate the bearings and prevent the seals from drying out.This collection of preventive maintenance tips will help to eliminate some of the more common repairs we regularly see on Volkswagen and Audi vehicles.